Our final 3pm Sunday show is on! The rain is holding off and we’re super excited to revisit Venice and Cyprus once again. Come join us! Due to other events at the park, we recommend parking on the New Street side. We’re a 5 minute walk down the main path in the middle of the park. Driven by envy for the position he felt should be his, Iago inflames Othello’s jealousy for Desdemona – hoping, in the process, to bring the outsider General to his knees. 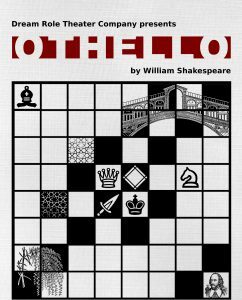 Shakespeare’s timeless tragedy exposes the manipulation and racism that poison the rule-breaking love of Othello The Moor and Desdemona. Bring a picnic blanket or chairs, and dinner!